After a very impressive performance at UFC 121 in Anaheim, Cain Velasquez emerges victorious against Brock Lesnar for the UFC Heavyweight Championship and in dominating fashion, at that — putting his benchmark in world history as the first ever Mexican heavyweight champion. 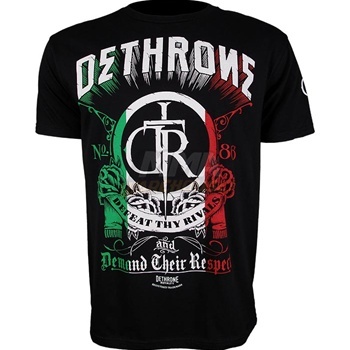 You too can be part of history with the Dethrone Rock of Cain Velasquez UFC 121 Walkout T-Shirt. Available at MMAWarehouse for a measly $27.99.